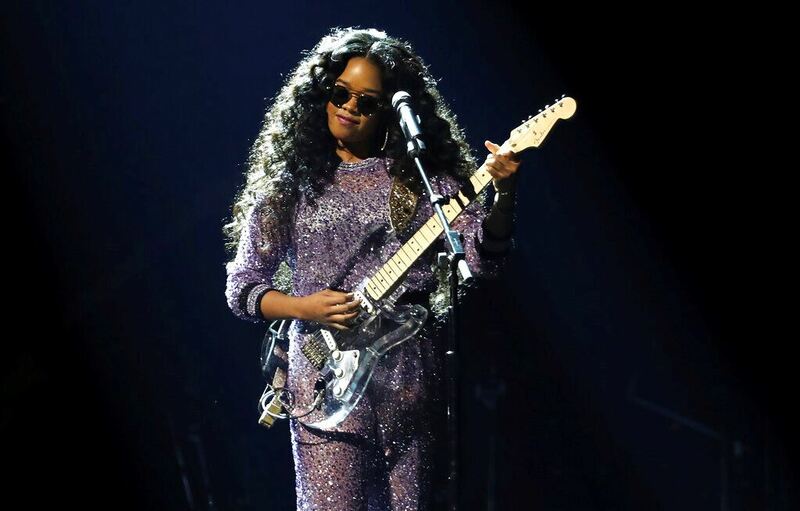 FEBRUARY 11, 2019 - LOS ANGELES (AP) — Rap artists and women have felt shunned by the Grammy Awards in recent years. But this year, they both took center stage. 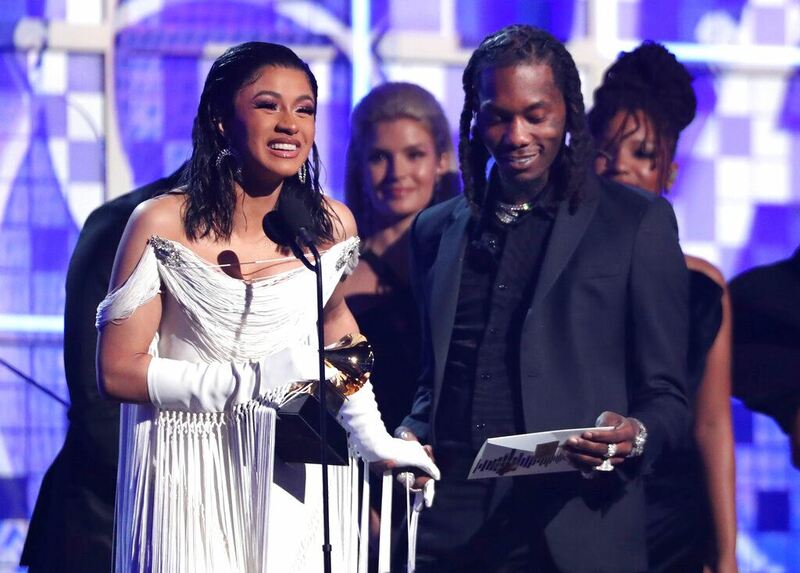 Cardi B, left, accepts the award for best rap album for "Invasion of Privacy" as Offset looks on at the 61st annual Grammy Awards on Sunday, Feb. 10, 2019, in Los Angeles.Photo by Matt Sayles/Invision/APChildish Gambino's disturbing look at race relations, "This is America," won record and song of the year on Sunday's telecast. It was the first time a rap-based song won both of those awards, considered — with album of the year — the recording industry's most prestigious. 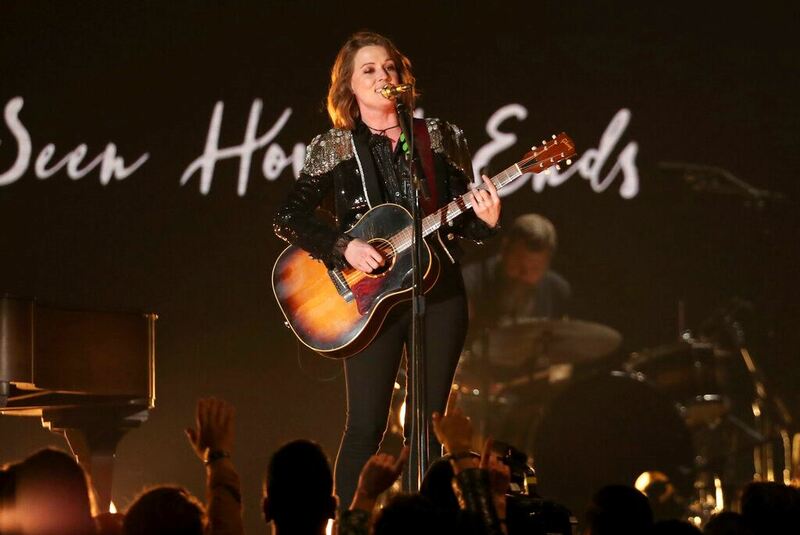 Brandi Carlile performs "The Joke" at the 61st annual Grammy Awards on Sunday, Feb. 10, 2019, in Los Angeles.Photo by Matt Sayles/Invision/APLudwig Goransson, a songwriter and producer on "This is America," said backstage that he was surprised the victories were so historic. Just listening to the radio, watching the culture and seeing how many rap songs are downloaded is evidence of rap's impact. 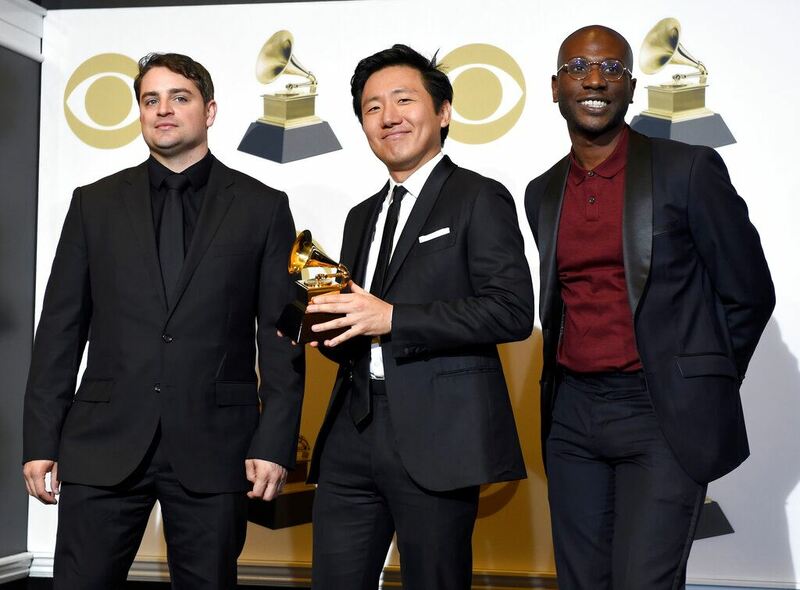 Jason Cole, from left, Hiro Murai and Ibra Ake pose in the press room with the award for best music video for Childish Gambino's "This Is America" at the 61st annual Grammy Awards at the Staples Center on Sunday, Feb. 10, 2019, in Los Angeles.Photo by Chris Pizzello/Invision/APShe looked anything but rattled earlier, when her rendition of "Money" was among the night's performance highlights. Janelle Monae delivered a smoking version of her hit "Make Me Feel"; St. Vincent and Dua Lipa's duet on "Masseduction" was steamy; H.E.R. turned heads with "Hard Place"; and Carlile sang an inspired version of her hit "The Joke." Dua Lipa accepts the award for best new artist at the 61st annual Grammy Awards on Sunday, Feb. 10, 2019, in Los Angeles. Looking on at right is presenter Bob Newhart.Photo by Matt Sayles/Invision/APWhen she accepted her best new artist award, Dua Lipa pointedly said, "I guess this year we really stepped up." 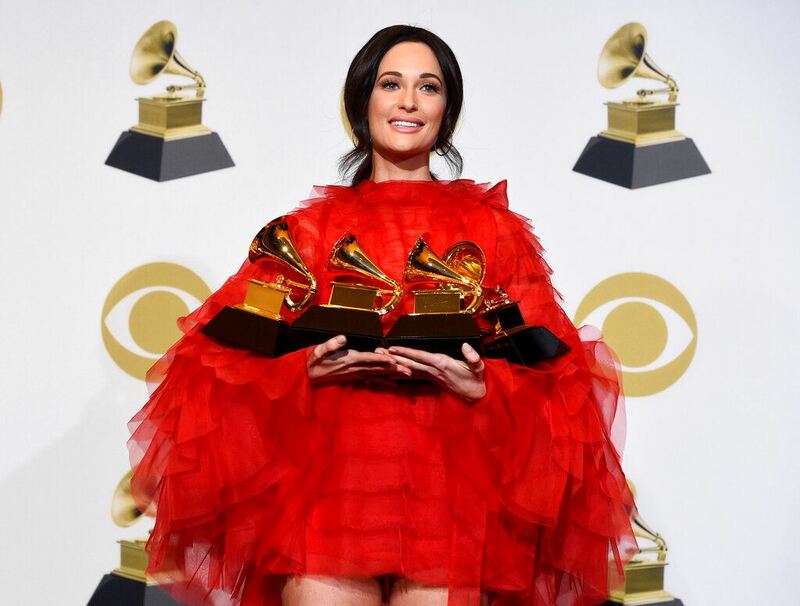 Kacey Musgraves, winner of the awards for best country album for "Golden Hour", best country song for "Space Cowboy", best country solo performance for "Butterflies" and album of the year for "Golden Hour" poses in the press room at the 61st annual Grammy Awards at the Staples Center on Sunday, Feb. 10, 2019, in Los Angeles.Photo by Chris Pizzello/Invision/APLipa said later she would have thanked her fans, her inspirations and team if she had more time. H.E.R. performs "Hard Place" at the 61st annual Grammy Awards on Sunday, Feb. 10, 2019, in Los Angeles.Photo by Matt Sayles/Invision/AP"You've already won if you have people who are singing your songs word for word, if you're a hero in your hometown. Look, if there are people who have regular jobs who are coming out in the rain and the snow, spending their hard-earned money to buy tickets to come to your shows, you don't need this right here. I promise you. You already won," he said at the Staples Center in Los Angeles. 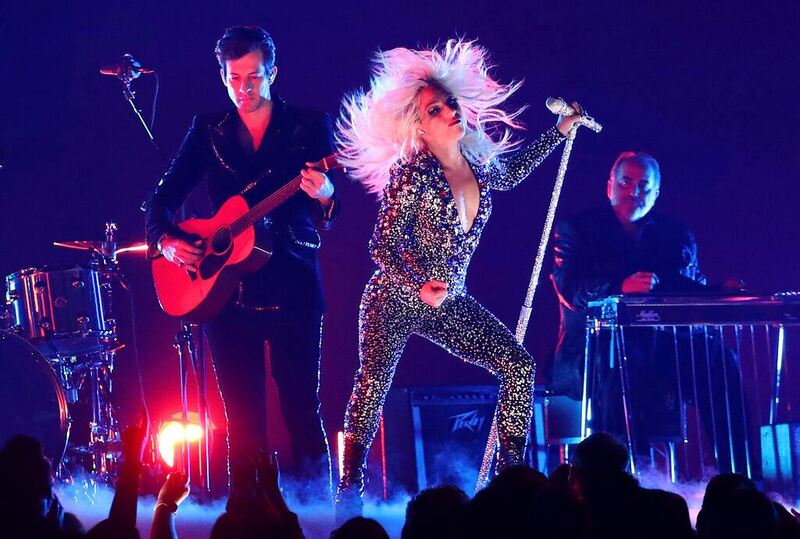 Lady Gaga, right, and Mark Ronson perform "Shallow" at the 61st annual Grammy Awards on Sunday, Feb. 10, 2019, in Los Angeles.Photo by Matt Sayles/Invision/APThe Grammys took some online blowback by having Jennifer Lopez deliver a tribute to Motown , once the nation's preeminent label for black artists. Despite her hustle, Lopez was outshone by show host Alicia Keys and Smokey Robinson delivering one verse of "Tracks of My Tears" a capella.